Project objectives: Harvey Norman required a number of interactive Flash Display Ads designed and developed to support their National Sales Campaign. 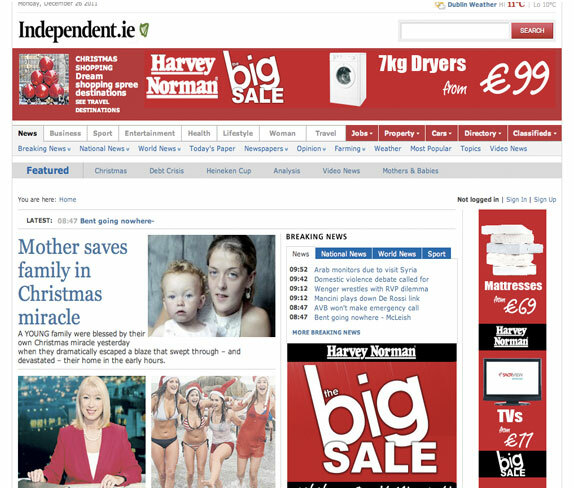 Digital Insights designed, developed and managed the placement of a number of Leaderboards, Dynamic Mastheads, and Skyscrapers that were displayed on major Publishing sites such as Independent.ie, RTE, YouTube Masthead, Daily Mirror group. 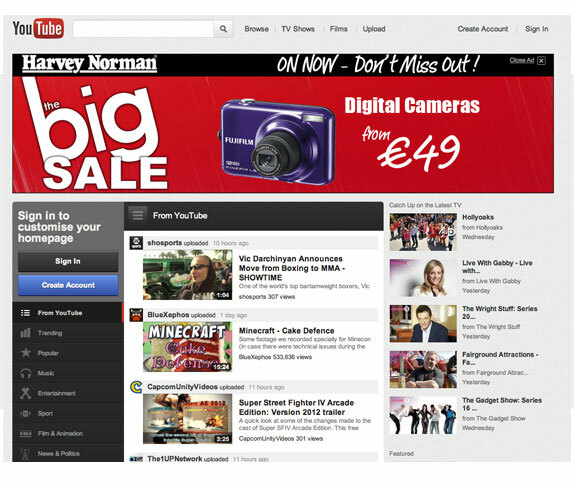 The Project was a major success for Harvey Norman with YouTube Masthead beating all objectives in terms of Click Throughs.